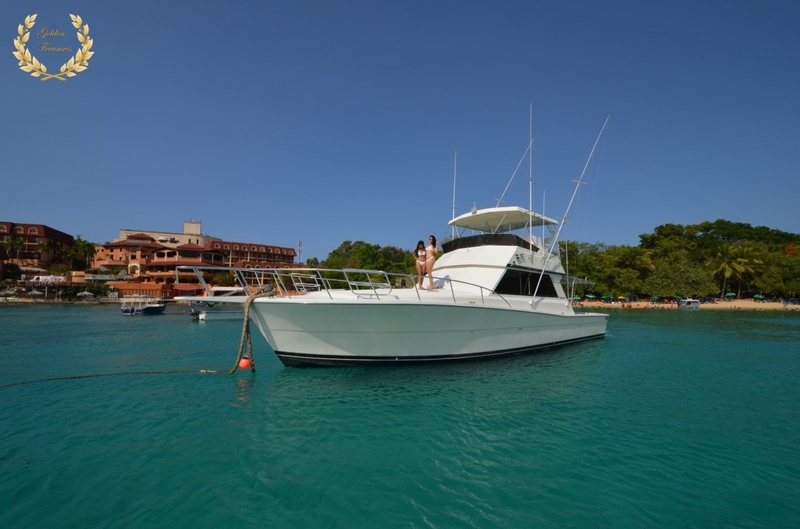 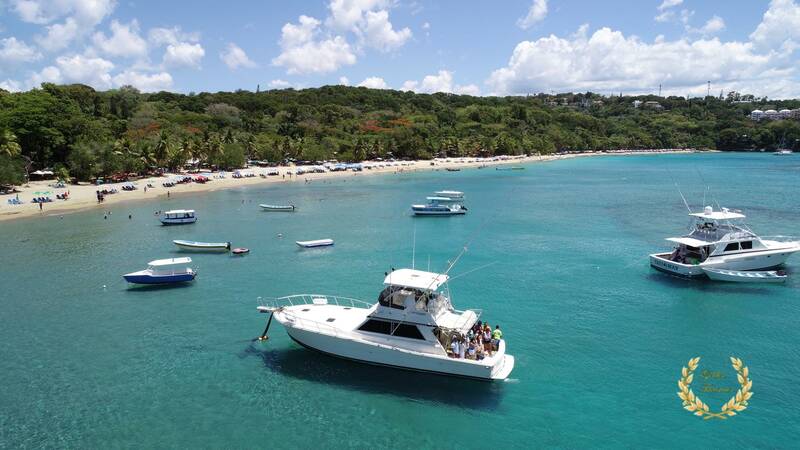 A yacht rental in Sosua with very unique features, this 48` Viking boat is fully equipped to make a memorable sailing tour, party, fishing and even birthday celebrations sailing along the coast of Sosua and into its best beaches. 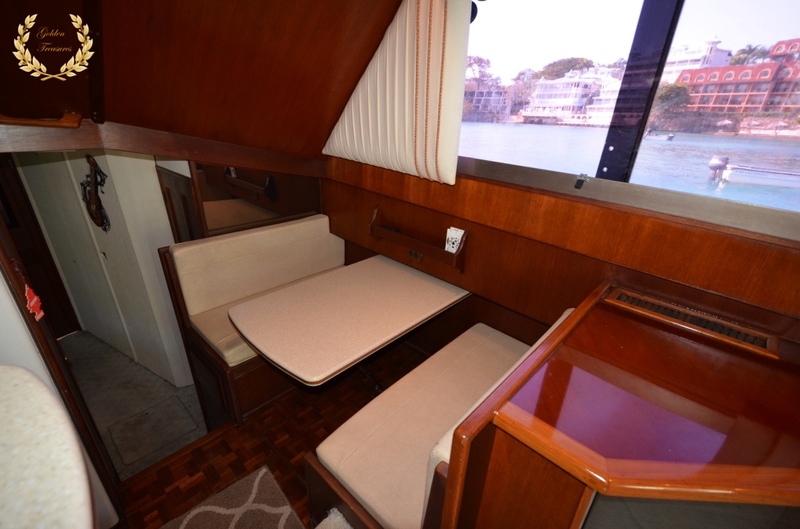 The yacht include a lounge-style interior with wrap-around leather sofas, overhead lighting and dining table with kitchen and fridge. 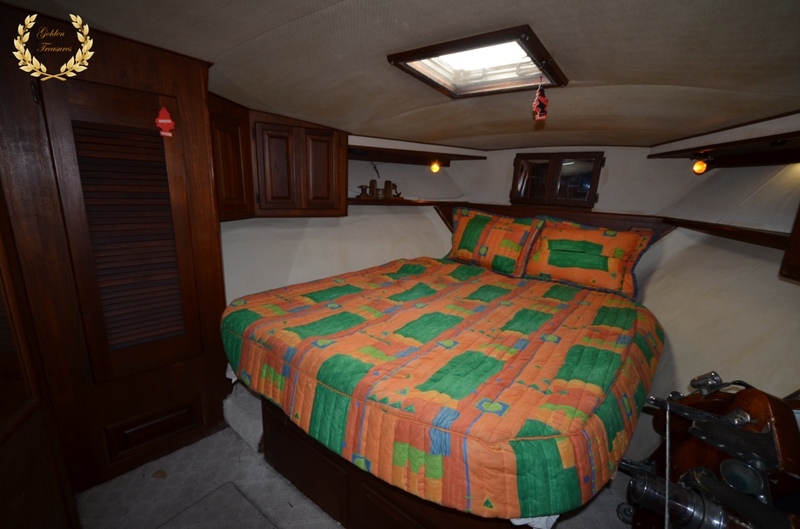 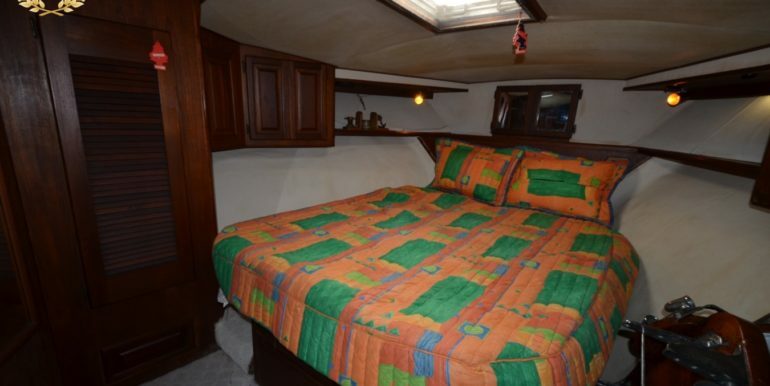 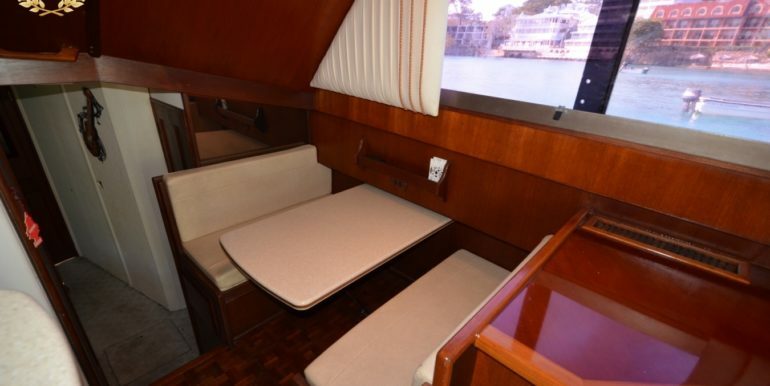 The main suite has a spacious bed, conveniently located in the boat`s front bow. 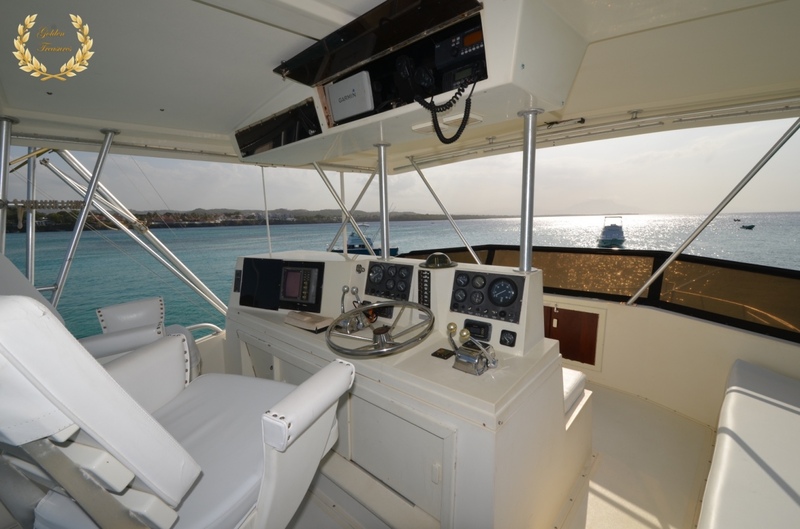 The deck can be fitted with a service table or a fisherman`s fighting chair, to accommodate both fishing and party tours. 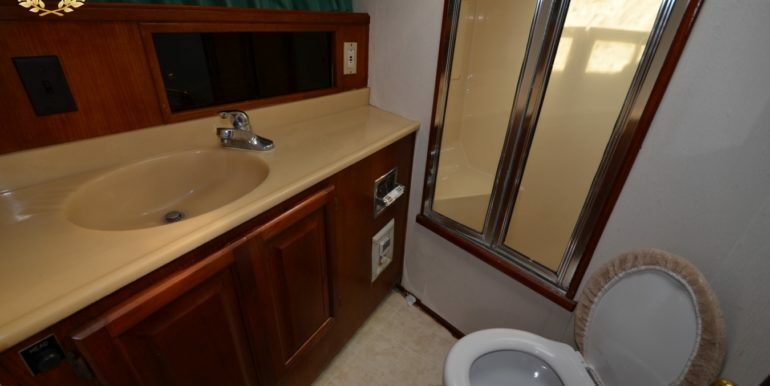 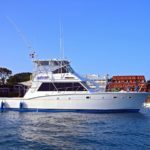 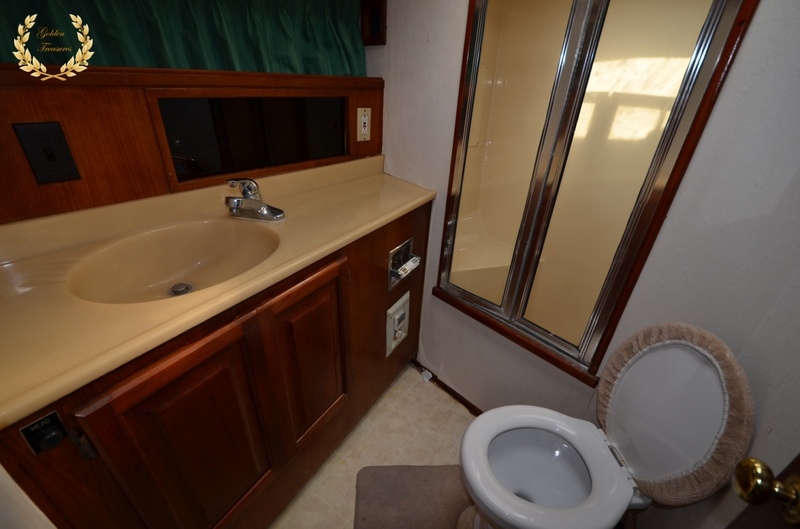 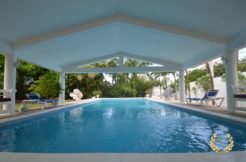 This yacht rental has a full staff, and includes beverages and when needed, lures and fishing equipment. 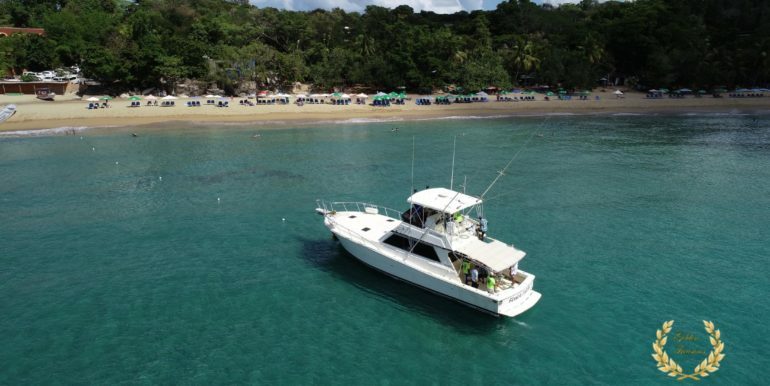 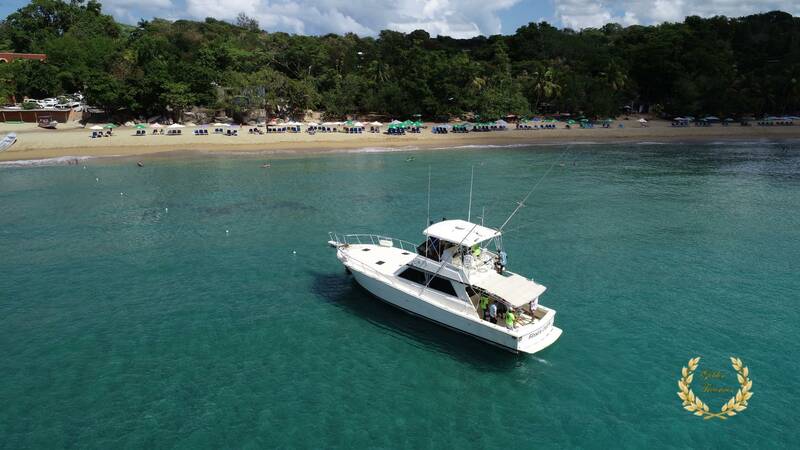 Sosua game fishing can include important catch such as large marlin, tuna, wahoo, Mahi and jackfish, among others. 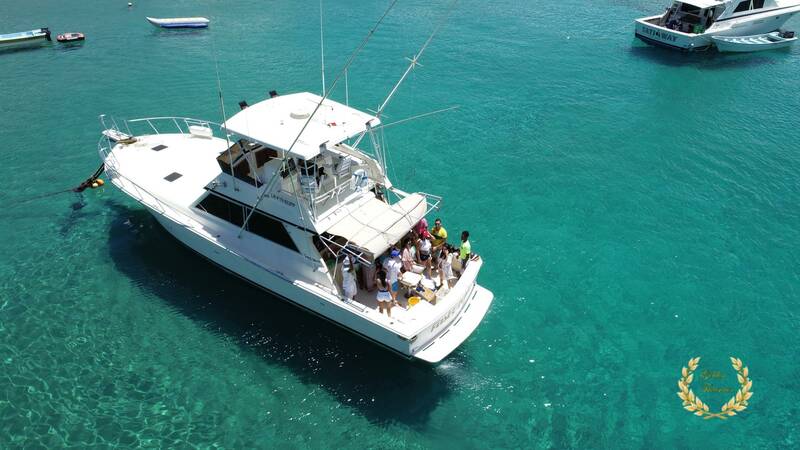 Inexperienced fishermen can also enjoy the tour, as the captain will train them and give them a hand. 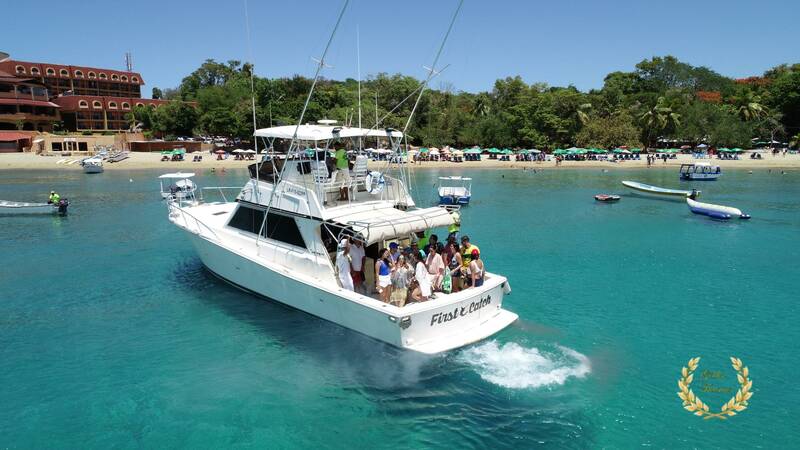 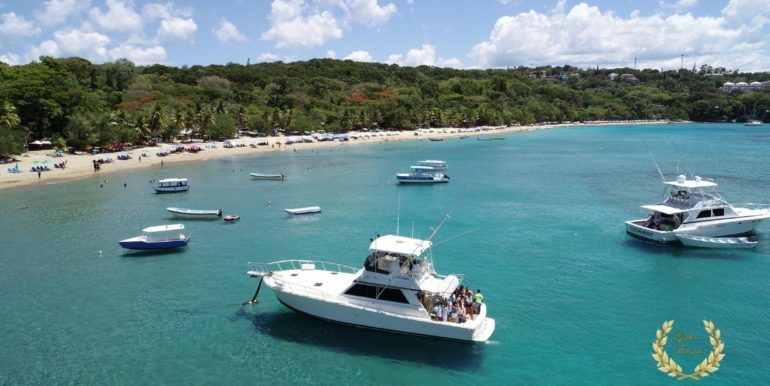 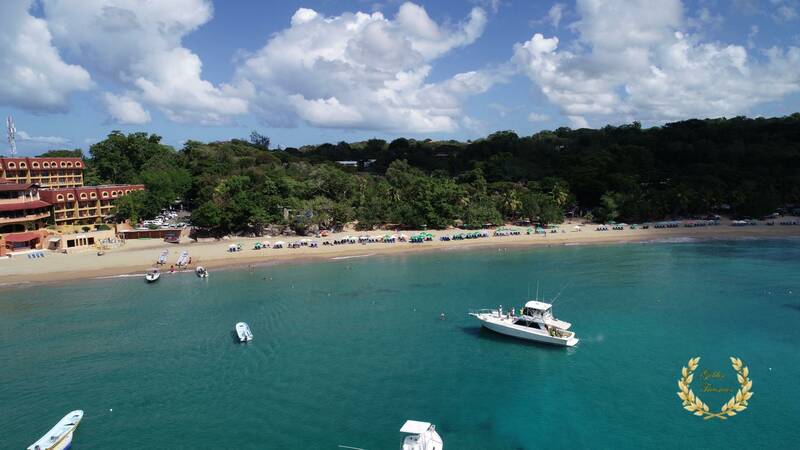 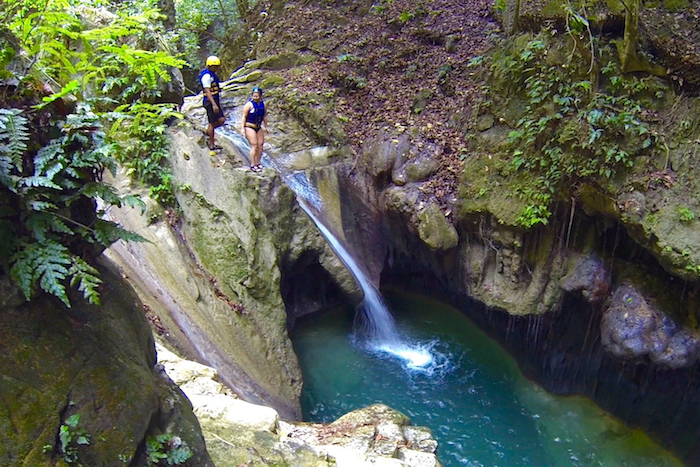 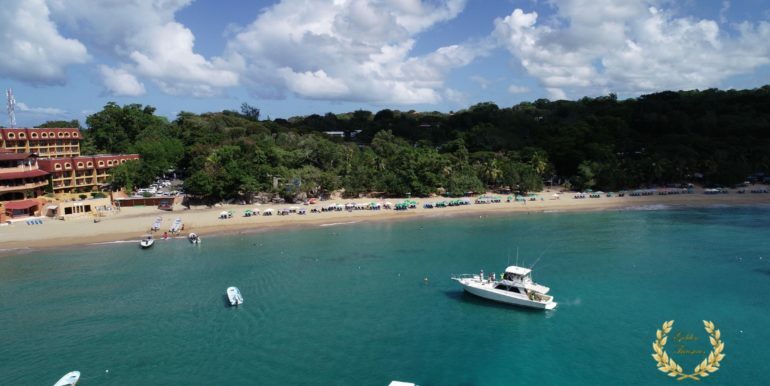 Yacht parties in Sosua are done along the coast, with stops at various of the top beaches. 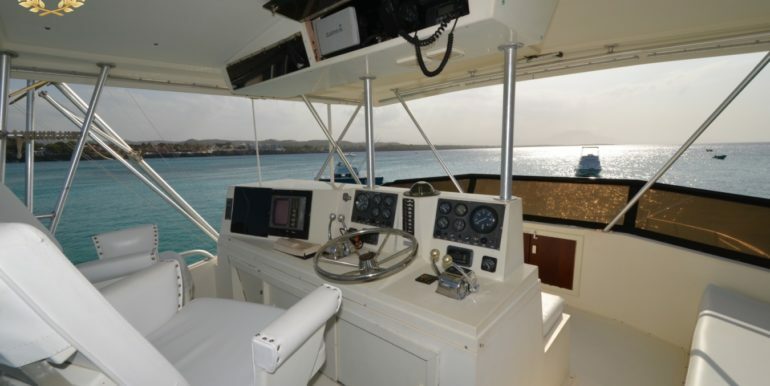 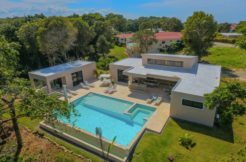 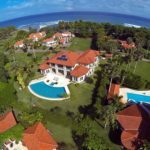 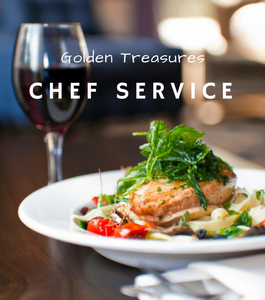 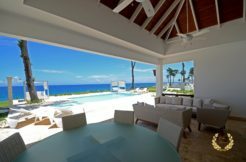 In some cases the yacht can pick up passengers direct from one of Golden Treasures exclusive villas, the spc1010 which is located at a private area with quick access to a golden sand beach. 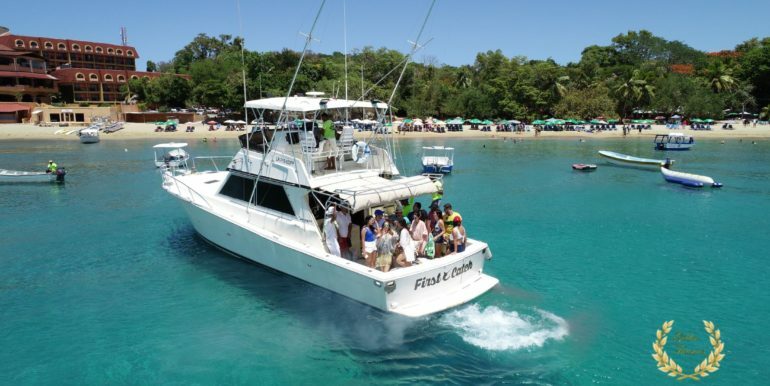 Rates vary from $650-800.00 depending on the total number of passengers. Tours available between 8am-12:00m and 1:00pm-5:00pm; sunset cruises from 5:00pm-7:30pm ; Contact us today to book this gorgeous yacht and enjoy life like never before. 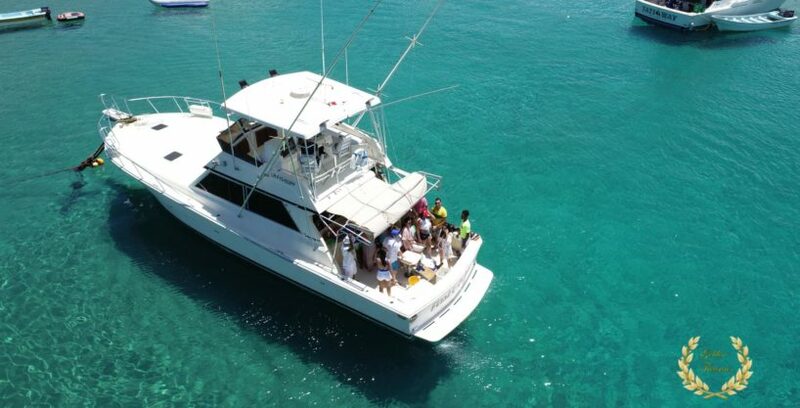 If the party is larger than expected, this one can be rented alongside a Hatteras, see it here.